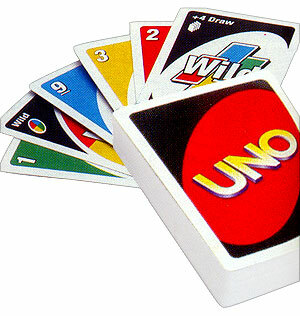 Whenever we went out in the caravan or had a rainy day at home, the UNO cards would be ready to play with. 1) Have the deck of UNO cards in front of you. Make sure you have up to 2-10 players sat in a circle, ready to start. 3) Turn over the top card of the draw pile and place it next to the draw pile to start the game. 5) If you do not have a card to match the card in the pile, you must take one card from the draw pile and the next person has a turn. The idea of the game is to have as little cards as possible as the game goes on. 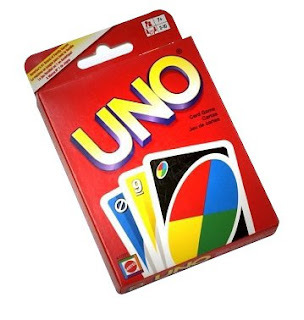 To win you must lose all of your cards and shout 'UNO'. Give it a go and see if you can win...It's the perfect game for the Autumn season and can entertain the family for hours! Fun Facts About Famous Toys! The fun of playing 'dress up'!